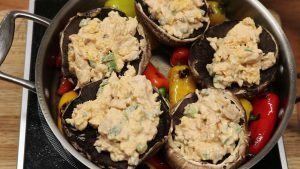 Break out of the ordinary by preparing these outrageous Southwest Chicken Mushrooms! 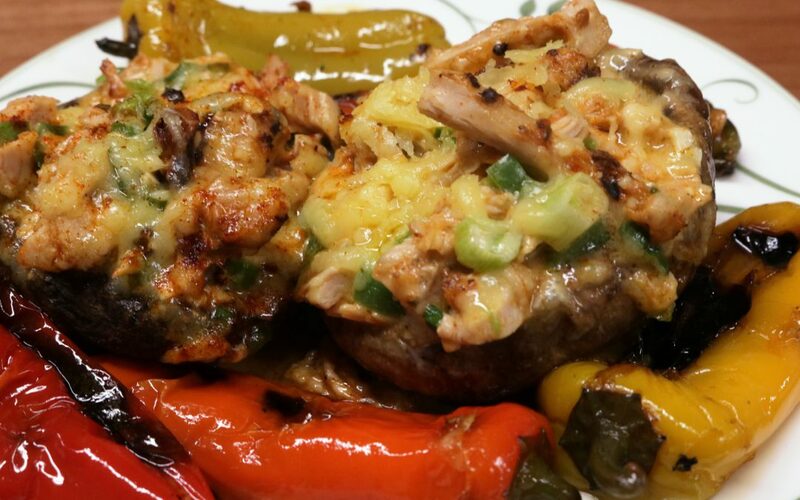 Featuring mushrooms topped with chicken and cheese, it’s a dish the whole family will love. 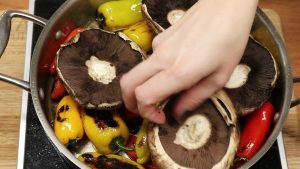 Combine all ingredients in a bowl except for mushroom caps and sweet peppers. 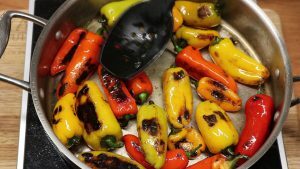 Heat peppers over medium-high heat until skin is charred. Spoon filling onto caps. 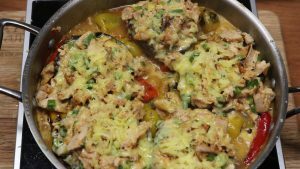 Turn heat down to medium, cover, and cook for 7 minutes. The Rada Non-Scratch Spoon w/holes is a versatile kitchen utensil no home cook should be without. 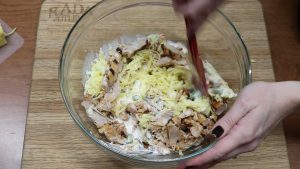 Featuring a non-scratch material that’s safe for use with your pans, it’s great for use with mixtures, soups, and so much more. Its flat nose makes for easier serving and stirring, while the holes allow for quick draining. A sturdy metal stem ensures its durability, while a thumb spot allows for an easy grip. Like all Rada products, the Non-Scratch Spoon is manufactured in the USA. 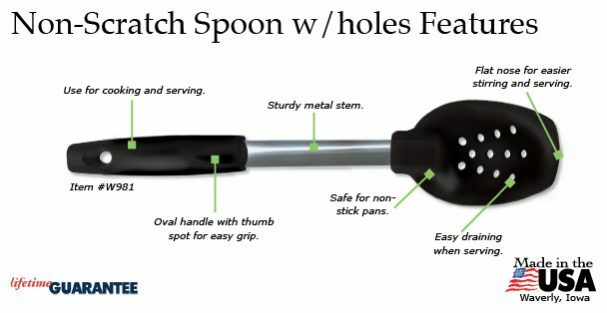 Order the Rada Non-Scratch Spoon w/holes at the online Rada Kitchen Store! 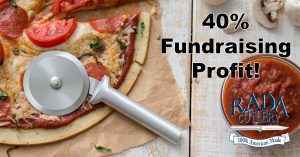 Start a Successful Fundraiser Today! 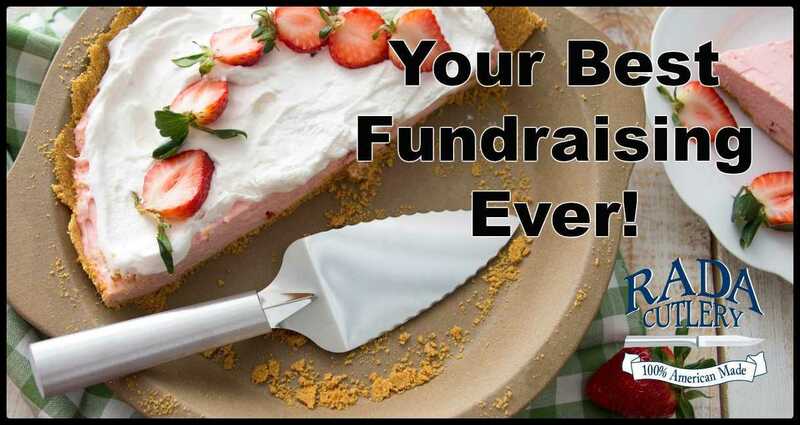 Rada Cutlery offers an easy, hugely profitable fundraiser that has helped tens of thousands of nonprofit groups meet their financial goals. 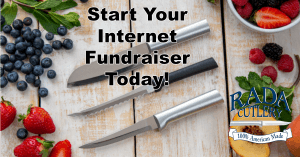 Start your own Rada Internet Fundraiser today!